I am writing to you on behalf of Wayward Seed Farm in light of recent news stories. First, I would like to thank you for your concern and words of encouragement. As always, we are committed to our CSA members and our customers, and it is our intention to communicate with you openly. In light of the serious news reports today, I believe it is important to keep you as informed as I can. The raid reported in the news was not at the Wayward Seed Farm, and I had no prior knowledge of the events leading up to it. From what I have read and learned from detectives, there was a raid on a residence of which I am a co-owner (although I do not reside there). Some of you may remember this property, which is located in Union County, from when the business was starting up. It is no longer used by the Wayward Seed Farm in any manner, and has not been for over a year. The farm’s fields are in Madison County. The first I heard of the raid was when I was questioned by detectives at the Dublin Farmers’ Market this afternoon. Such activity as the raid found is not reflective of our employees, our product, or our values in any way, shape or form. Rest assured, I will continue to run the business. Our presence at CSA pickup and markets will not be interrupted. Again, thank you for your support during this difficult time. 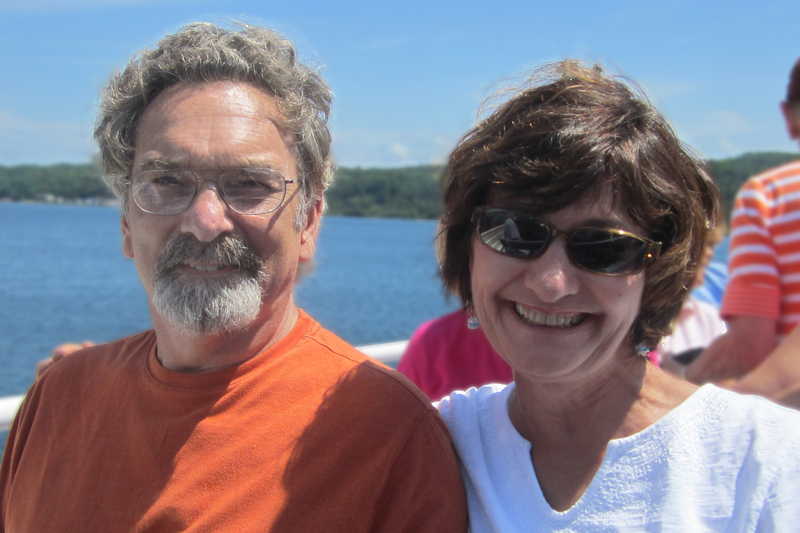 Members of the Week: Jody W. and Bob R.
We just returned from an amazing trip to the Upper Peninsula. Hiking, kayaking, camping AND staying at a lovely bed and breakfast. Pictured Rocks National Lakeshore is simply stunning! How many years have you been a member of Wayward’s CSA program? How did you first hear about Wayward? Our friend Cynthia was a member four years ago. She sometimes shared the bounty of her share, bringing us just-ripe fruits and vegetables, revealing each as if they were treasures. And, indeed they were! Her enthusiasm and excitement were contagious. What an introduction. . . right? What has been your favorite vegetable? Why? We love beets, sweet and earthy, they can be eaten warm or cold. The beet greens are fabulous too. YUM! What has been your least favorite vegetable? Why? Broccoli raab is my least favorite. Why? I guess I haven’t discovered the right recipe yet. What is the most interesting dish you have made from your CSA? Please provide the recipe. The most interesting is generally the last recipe I tried. Whisk cream into light pillows – this takes a minute or so, no need to get out a mixer.Stir in remaining dressing ingredients, the kohlrabi and apple. serve immediately. My Modification: I didn’t have time or the ingredients to make the dressing so I used Marzetti’s Cole Slaw Dressing – it was wonderful! I really like being surprised and challenged each week. What will we get? How will we prepare it? That’s the fun of being a member! !